House of Fundamentals wants to make a difference in your nutritional health and physical well-being. House of Fundamentals offers services one-on-one, in group settings, and through tailored “boot camps” for groups and organizations. All offerings are designed to teach adults and youth the basics of fitness, including resistance training, cardiovascular activity and nutritional counseling. 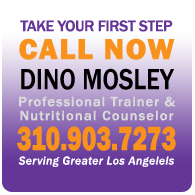 Our goal is to provide clients the know-how and the tools they need to lead healthier, more productive lives. Join any of our early morning groups that focus on a variety of areas, techniques, and skill levels. Whether at your home or in another location, we build programs around your needs. Designed for athletes of any sport, both individual and groups sessions are available to improve your techniques, skills, and fundamentals. One-hour sessions planned for organizations with at least 20 participants that will train together for a minimum of 8 weeks.